We wrote on Twitter three days ago about JSW’s stock value estimated at 1.056bn PLN (one and a half year ago Jastrzębska Spółka Węglowa bought just a single Knurów-Szczygłowice mine for 1.49bn PLN). 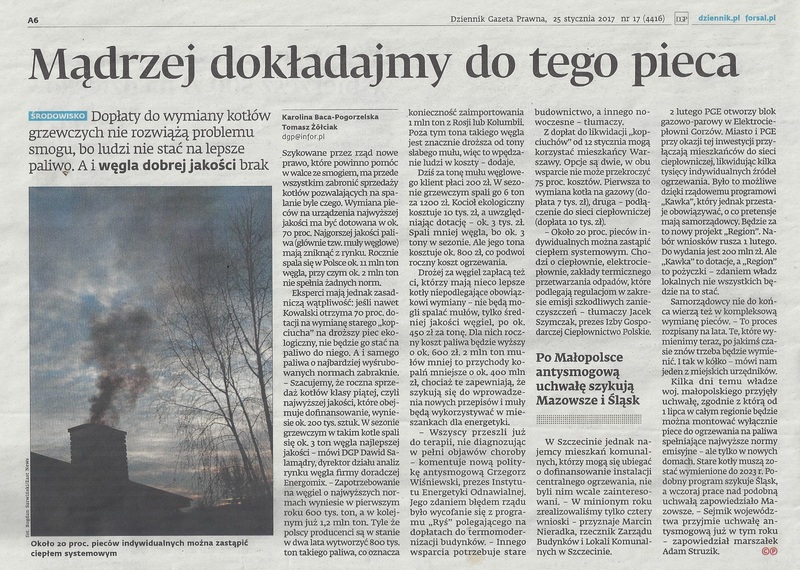 To maintain cash flow, the mining company will have to dispose of its heat&power plant in Jastrzębie-Zdrój. Despite the all-time low valuation of JSW, the company most probably won’t be taken over by any private investor, as Ministry of Energy certainly would block every attempt to do so. Meanwhile, JSW needs money to cover the liabilities and selling Spółka Energetyczna Jastrzębie (SEJ) might just bring them 200m PLN. Speculations are that the company most interested in this acquisition is PGNiG Termika and that the transaction for SEJ might be finalized by March. PGNiG Termika will also be involved in taking over some of the EDF’s assets and is interested in Lublin’s heat&power plant – LPEC.